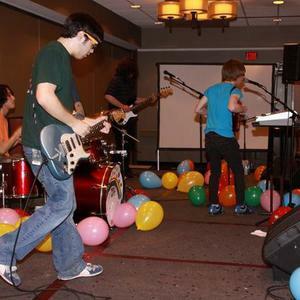 Nuclear Bubble Wrap is an alternative rock band from Nashville, TN. Specializing in a sound influenced by groups such as Ween and The Flaming Lips, Nuclear Bubble Wrap is quickly building a cult following on the Internet and in the local music scene. Founded by vocalist Jace McLain and guitarist Kyle Thorne, Nuclear Bubble Wrap began recording home-made demo albums in 2005 before switching to fully-produced studio recordings with 2010's full-length debut album Exploding Head Syndrome. Using the momentum from this album as well as several popular viral music videos (such as ?Avada Kedavra? and ?Sharktopus? ), NBW has played concerts across the country. The group is filled out by bassist Brendan Sheairs, and drummer Eric Zhu. NBW is currently recording their first all-psychedelic album, Psycho Delicacy.